Internet usage and the sporadic rise in the level of innovations have been major drivers of human progress in the last decades. These leaps in human intelligence have affected almost every area of human endeavour including education, health, finance, commerce, political engagement, and so on. With the United Nations’ Sustainable Development Goals (SDGs), the Economic Community of West African States (ECOWAS) has adopted some strategies in order to ensure that ECOWAS member countries are not left behind. Thus, this study examines the influence of internet usage and innovation on human development in 15 ECOWAS countries. Using the fixed and random effects panel data techniques, the study finds that Internet usage, innovation and their interaction have significant and positive relationship with human development. Furthermore, the study unbundles the ECOWAS countries and finds that countries like Cape Verde had positive significant coefficient for the three cases examined, the results for some ECOWAS members were not significant, while few had significant negative results, which did not have influence on the overall result. Recommendations on how to increase innovation for human development in ECOWAS countries are highlighted in the study. This study is set out to examine the influence of internet usage and innovation in enhancing human development in Economic Community of West African States (ECOWAS) countries. It tests the consistency of literature with the experience of ECOWAS countries, thus investigating the nature of the relationship between Internet adoption, innovation and human development. The objectives of the study are essential as the advent of Internet technology signalled the birth of a revolution that would later prove to be a difference maker between developed and developing countries. With the introduction of the Internet, geographical boundaries were broken, the interaction between people became easier and faster, trade became universal, and digital and Internet economies began to emerge. These spin-offs affected most areas of human endeavour. Many have argued that the pace of globalisation presently being witnessed would have been unattainable if the Internet technology was not invented in the 1950s (Competition Policy Review Panel 2008). The Internet has proved to be one of the most outstanding creations of man as it is often referred to as the eighth wonder of the world (Sathiaseelan 2013). Technology and innovation have been at the very core of human progress, thus impacting on the quality of lives of people across the nations of the world through the improvement of educational and health care facilities, accessibility and efficiency. With innovations in science technology, commerce, agriculture, and so on, the mortality rate across the world has reduced by about 50% between the years 1960 and 1990 (Hettiarachchi 2018). The turn of the twenty-first century signalled an unprecedented leap in the pace of innovation and technology adoption unlike any other time in history. From microchips to cloud computing, big data to internet of things, artificial intelligence to machine learning, nanotechnology to robotics, the world is at the edge of a technological bang that would further widen the gap between the economic powerhouses and laggards. Harnessing the benefits of information and communication technologies (ICTs) and innovations in order to leapfrog the stages of economic development has been a major development discourse in the last decade. It is difficult to dispute the fact that technologies and innovation have been major drivers of human progress (Karakara and Osabuohien 2018). However, the impact of technological progress though evident has left many people wondering about how effective technologies will be in promoting inclusive and sustainable development in underserved regions of the world such as Africa and East Asia. The rate of adoption of internet and information and communication technologies (ICTs) has proven to be instrumental in driving inclusive growth, connecting people in remote locations to market, improving access to education, enabling access to information, promoting innovation, improving citizens participation in the democratic process and enabling the rise of small- and medium-scale enterprises (Guerriero 2015). The countries that make up the ECOWAS members are not left out in this tide. The desire to improve the economic fortunes of Member States was the premise upon which Vision 2020 for the ECOWAS members was developed (Economic Community of West African States 2017). With the Vision 2020 aimed at raising the standard of living through conscious and inclusive programmes, Member States have committed to promoting inclusive development which would be reflective in the Human Development Index (HDI) of the citizenry. The academic debate on internet usage, innovation and human development is beginning with the existence of various paradigms. Some scholars have argued that the utilisation of the internet has played a major role in promoting conflicts and violence, thus allowing West African countries spiral further down the development ladder (United Nations Economic Commission for Africa-UNECA 2012). The proponents of this paradigm ride on the view of Joseph Stiglitz who stated that the way globalisation has been managed has led to growing poverty, inequality, hunger, deprivation, riots, massive unemployment and increase in the spate of conflicts in the developing world (Stiglitz 2002). With internet adoption being an offshoot of globalisation, internet usage could spur instability. On the other hand, the question is asked: Does the relationship between internet usage, innovation and human development (individually or wholly) imply correlation, causality or mutuality? Mobile technology’s relationship with inclusive growth in ECOWAS was observed to have a negative linkage (Ejemeyovwi and Osabuohien 2018) which is in contrast with the proposition that ICT is likely to exert the highest positive effects on economic and human development landscapes due to its potential for wider and faster usage (Asongu and Le Roux 2017; Ejemeyovwi and Osabuohien 2018). ICT investment, however, was observed to have a positive and significant relationship with human development in ECOWAS. The present study observes further another dimension of ICT with the intention of capturing the innovation in the model to explore the nexus in ECOWAS, which forms one of the motivations of this study. The paper is structured as follows: A review of the literature was carried out, in the next section, to examine the various reports of researchers to provide the theoretical and analytical framework upon which the research is built. In Sect. 3, the paper uses the panel fixed and random effects model to analyse the data to examine the relationship among internet usage, innovation and human development in ECOWAS with a view to handling possible individual-specific fixed effect issue. Section 4 gives the results and discussion. Finally, the paper concludes by making recommendations on ways in which the ECOWAS sub-region can leapfrog the stages of development and drive human development and furthermore, inclusive growth through Internet usage and innovation. The advent of the Internet and its impact on social development has continued to spur development economists and researchers from various backgrounds to explore the subject as it is believed that if countries can effectively harness the potential of the Internet, the impact on social development would be endless. However, despite the fact that several researchers have written on the subject, very little is yet to be said on the subject with respect to human development in West Africa. This study is, therefore, set out to provide the answer to many questions asked by researchers on the way and manner in which the Internet together with innovation can provide the much-needed impetus for human development (inclusive growth) in West Africa. Out of the more than 1.5 billion people considered to be living in fragile countries, West African citizens hold a huge share of the number (United Nations Economic Commission for Africa-UNECA 2012). The reason behind Africa’s fragility is not far-fetched. Africa is reported to have the most extensive history of civil wars and instabilities. In the ten-year period between 1990 and 2000, Africa recorded 19 cross-border civil wars and armed conflicts (UNECA 2012). With fragility bringing about high levels of poverty and inequality, West Africa remains greatly affected by fragility with its impact visible on the human development indicators. Despite the level of fragility being witnessed in West Africa, the sub-region has proven to be a major determinant of the depth of resilience that Africa has witnessed in the last decade (African Development Bank 2017a, b). Increasing levels of political stability and export-driven initiatives have put the West African sub-region in a good place to adopt information and communication technologies which have also greatly impacted the reduction in the levels of poverty in the sub-region. Technology Start-ups such as Andela and Flutterwave have attracted huge investments, which have further improved the level of financial inclusion in the sub-region (KPMG 2017). The ECOWAS which is the umbrella body that houses West African countries comprises of 15 Member States, namely Benin, Burkina Faso, Cape Verde, Cote d’Ivoire, Gambia, Ghana, Guinea, Guinea-Bissau, Liberia, Mali, Niger, Nigeria, Senegal, Sierra Leone and Togo (Bossuyt 2016; Osabuohien et al. 2017). The sub-region is home to about 340 million people whose major languages are English, French and Portuguese with a GDP per capita of $1655. Established in 1975 with the aim of economic cooperation and development, ECOWAS has had the challenge of facilitating inclusive growth within and across its member countries. West Africa is truly in a dire state. Known to have the lowest Human Development Index and the highest illiteracy rates in the world, the sub-region needs to declare a state of emergency in these critical areas (The Danish Institute for Human Rights 2017). Some researchers (Pohjola 2000; Edwards 2002a) have made several attempts at examining the impact of Internet usage in the promoting economic growth. A study carried out by the World Bank reports that a 10% increase in broadband and a 10% increase in fixed line Internet penetration would result in a 1.38% and a 1.12% increase in Gross Domestic Product (GDP), respectively. Though perceived by many to be biased having not considered the issue of endogeneity, the study helps researchers understand the important role of Internet penetration in the growth of economies (World Bank 2009). The challenge of endogeneity arises in the report noting that the positive correlation between an increase in Internet penetration and increase in GDP is not far-fetched; the wealthier a country is, the better would be the technological infrastructures at her disposal and as such the better it promotes Internet adoption. This bidirectional relationship between Internet usage and economic growth calls for further investigation into more specific components of economic growth such as human development, which contributes to one of the motivations of this study. While evidence abounds on the impact of information and communication technologies (ICTs), it is believed that the digital divide will continue to widen in view of cultural and ideological differences across sub-regions in Africa and other developing countries of the world. Hettiarachchi (2018) observed that information and communication technologies are usually overhyped and, however, are simply marketing impulses used by developed countries of the world to further enrich themselves, exploiting the developing nations. Niebel and Mannheim (2014) analysed the impact of ICT on economic growth in developing, emerging and developed countries. The sample base comprised of 59 countries within the period of 1995 to 2010. The panel data regressions confirm the positive relationship between ICT capital and GDP growth. The regressions further revealed the statistically significant differences of the output elasticity of ICT between the three different country groups. The results showed that developing and emerging countries gain more from investments in ICT than developed economies through having fatter estimated coefficients, but statistically the proof is not seen. This result questions the macro-econometric validity of the leapfrogging through ICT argument as noted by Steinmueller (2001). In a related note but with different scope, Ghosh (2016) researched on the impact of mobile telephony on economic growth using a data set on 14 major Indian states (2001–2012). The paper had two objectives: to determine the impact of mobile telephones on economic growth and to further examine whether financial inclusion is one of the channels through which mobile phone penetration affects economic growth. An advanced panel data technique—generalised method of moments (GMM)—is used for the analysis to determine the impact of mobile telephony on economic growth, while the fixed effect regression was used to determine whether mobile telephony is a key factor in driving financial inclusion. The evidence suggests that mobile telephony exerts a significant and non-negligible positive impact on economic growth. The findings also testify to the fact that mobile telephones exert a positive impact on financial inclusion, especially for the use of loan and deposit accounts. One limitation of the work is the fact that 14 states out of the 29 states in India were used in the analysis. In a study of some countries, it was discovered that information and communication technologies (ICTs) have a played a major role in facilitating growth in selected developed and developing countries (Jorgenson 2003; Osabuohien 2008; Osabuohien and Efobi 2012; Asenso-Okyere and Mekonnen 2012; Sangbuapuan 2012; Chavula 2013; Salampasis and Theodoridis 2013; Aker and Fafchamps 2015; Vosough et al. 2015; Zhang et al. 2016; Ejemeyovwi et al. 2018). Johnson (2016) developed a method of country classification based on the level of ICT adoption and inclusive growth. It was also discovered that countries with high development indicators also had high ICT penetration rates. Ejemeyovwi and Osabuohien (2018) observed that mobile cell technology contributes to but did not positively impact the inclusive growth as expected, which was explained that part of the reasons is the high cost of acquisition of ICT, and the non-productive use of these ICT facilities. However, the clear relationship between Internet usage, innovation and human development (which caters for productive use of ICT) has not been buttressed upon empirically by extant literature. Hence, this study makes contribution to the literature by filling this observed gap. The basic empirical model that underpins this relationship takes its cue from the empirical model of Oluwatobi (2014), Oluwatobi et al. (2016), Andrés et al. (2017), Ejemeyovwi and Osabuohien (2018), Ejemeyovwi et al. (2018) which assumes the Schumpeterian growth model and states that growth is a function of institutions, technology and other growth components with some augmentation. The Schumpeterian growth model is an extension of the endogenous growth theory which posits that there are three determinants of growth within an economy—technology such as ICT, socio-economic setting (including institutions) and the conventional growth components (Xi) (Schumpeter 2005; Becker et al. 2005; Bazhal 2016; Ejemeyovwi and Osabuohien 2018). The empirical model explains that for growth (human development) to be achieved, a number of factors must be present such as institutions and technology adoption (innovation), and other control variables should be put in place. where Ait = INTPHSCIit; Sit = RULE, PSE; X = GDPPCGR, CREDIT. Furthermore, Y represents human development; A represents technology adoption; S represents socio-economic settings such as institutions; and X represents the endogenous growth components. where Yit represents Human Development Index (represents inclusive growth of country ‘i’ at time ‘t’); INTPHSCIit stands for the number of Internet users per hundred people multiplied by innovation (proxied by scientific journals and scientific articles) which is used to truly capture the technology progress (A) which is expected to affect human development positively; PSEit represents primary school enrolment; RULEit represents institution; CREDITit represents domestic credit provided by financial sector; GDPPCGRit represents gross domestic products growth rate in the model. Tchamyou (2015) and Asongu (2018) affirmed the use of Human Development Index as a measure of inclusive growth (consistent with the African knowledge economy); number of Internet users is used as one of the proxies of ICT adoption, while the control variables are consistent with the literature for inclusive growth development (Binder and Geogiadis 2011) and also essential for the Schumpeterian growth model. The a priori expectations of study from theory state that Internet usage (with technical knowledge) should have a significant positive impact on human development in West Africa. Technical knowledge in this study refers to the combination of Internet usage and innovation (Oluwatobi et al. 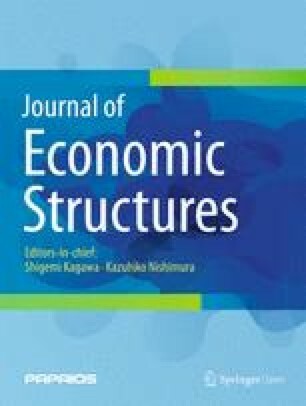 2016) which is one of the unique differences between this study’s empirical model and that of Ejemeyovwi and Osabuohien (2018) which considers the use of strictly mobile technology and investment in telecommunications, respectively. Innovation is measured by the number of scientific journal articles (World Bank 2008). Scientific and technical journal articles capture output from innovation compared to other measures because innovative individuals from various disciplines readily express their ideas through scientific journal publications. Profitable innovative ideas that emanate from non-engineering disciplines can easily be stored for retrieval/referral as scientific and technical journal articles which might not require patenting. Also, the process of securing a patent and trademark, such as documentation and requirements, is cumbersome, especially in most African countries. In Nigeria, for instance, the process of patent application involves bureaucratic exigencies, which cause a delay in securing the protection of innovative ideas. Some innovative outputs and ideas may, therefore, end up unsecured and stolen. Others may end up becoming obsolete and unnecessary before they are registered (World Bank 2008; Oluwatobi et al. 2016), hence making scientific and technical journals a justifiable measure of innovation. Primary school enrolment, institutions, domestic credit by financial institutions and gross domestic product per capita growth rate are necessary factors that from theory, also contribute to human development. The inclusion of these variables is necessary to eliminate omitted variable bias which could alter the reliability and validity of the estimated coefficients to be derived from the study. The data set used during the research is a panel data of 15 ECOWAS countries covering the period of 2004 to 2014. The data were sourced from World Development Indicators (World Bank 2017a), World Governance Indicators (World Bank 2017b) and United Nations Development Project (UNDP 2015). The variables include innovation, Human Development Index, the number of Internet users, institutions, domestic credit by financial sector and primary school enrolment. The Gambia was omitted to reduce panel attrition due to the large missing values for the data set. The variables that were included in the model (Eq. 2) above are defined in Table 1 with the presentation of the sources of data. Variables definition, mean and source of data. This subsection documents the descriptive review of the data set employed in the study and a correlation analysis of the independent variables to ensure that no perfect degree of association exists among the independent variables which could affect the reliability of the result. The descriptive tools utilised by this study are the mean, median, maximum, minimum, skewness, kurtosis and standard deviation. The mean shows the average value which measures the extent of central tendency which is derived by the sum of the values in the variable data set divided by the total number of the values; the median shows the middle value in each variable data set; the maximum shows the highest value among each variable data set and its country is highlighted; the minimum shows the lowest value of each variable in the data set; the standard deviation shows the square root of the absolute value of the variance, where the variance is the difference between each of the values in each variable data set; the skewness shows the degree of asymmetry of the distribution which could either be positively or negatively skewed; and kurtosis measures the degree to which the frequency distribution is focused on the mean or the degree of peakedness of the distribution whereby it could be mesokurtic (when the kurtosis coefficient = 0), platykurtic (when the kurtosis coefficient > 0) and leptokurtic (when the kurtosis coefficient is < 0). Table 2 shows the descriptive analysis information, while Table 3 shows the correlation analysis carried out. From Table 2, Internet users per 100 people (INTUSPH) had an average value of 5.67 and a median value of 2.35; the highest number of Internet users per hundred people was found to be 42.48 in Nigeria as at 2014; and the lowest number of Internet users per hundred people recorded was 0.19 in Niger as at 2014. Furthermore, the number of Internet users per hundred people had a standard deviation of 8.47; positive skewness of 2.66; and kurtosis of 9.76 which shows that the distribution is platykurtic (greater than zero). Scientific and technical journal (SCIJL) capturing innovation is characterised by an average value of 270 journals; a median value of 47 journals; a maximum value of 3994 which was attained by Nigeria in 2014; and a minimum value of 0, recorded for Cape Verde in 2006. Rule of law had an average value of − 0.73; a median value of − 0.80; and a maximum value of 0.59 for the selected countries. In terms of the standard deviation, the value is 0.53, which shows less deviation from its mean value; the descriptive result also shows that the data for institutional variable (rule) are positively skewed and are platykurtic. In terms of the primary school enrolment rate in ECOWAS for the selected time period, the average rate of primary school enrolment was 46.72%; the median value was 46.6%; the highest primary school enrolment rate was 51.57%, attained by Senegal in 2014 and the lowest primary school enrolment rate for the countries was 40.34% attained by Niger in 2004. Gross domestic product per capita growth rate (GDPPCGR) for ECOWAS in the time period had an average of 2.59%; and a median of 2.06%. A maximum of 30.34% was attained by Nigeria in 2004 while a minimum of − 9% attained by Mali in 2004. Gross domestic product per capita growth rate had a standard deviation of 4.18 and a positive skewness of 2.28 and was platykurtic with a kurtosis value of 15.14. In terms of the credit provided by the domestic financial sector, an average value of 30%; a median value of 20.78% were observed, while a maximum value of 227.78% was attained by Liberia in 2004 and a minimum value of 4.27% attained by Guinea-Bissau, in 2004. Furthermore, a standard deviation of 32.9; a positive skewness of 3.56 and a platykurtic kurtosis of 17.60 were observed. Data on the number of Internet users show the total number of people in a country with access to Internet facilities to surf the web for various reasons. The data set shows that Nigeria is the highest in terms of Internet usage, followed by Cote d’Ivoire, while Guinea-Bissau has the lowest Internet usage. Nigeria in 2004 had approximately 1.8 million Internet users and in 2015 had approximately 86 million Internet users. Cote d’Ivoire had 151,193 Internet users in 2004 and approximately 4.8 million Internet users by 2015. Guinea-Bissau, on the other hand, had 25,889 Internet users by 2004 and in 2015, 65,302 Internet users. It is important to note that the population of the country of interest also accounts for the number of Internet users (World Bank 2017a, b). Table 3 presents the correlation matrix for the variables in the model; an incidence of strong correlation among the independent variables may violate the working assumptions of the estimation technique and hereby produce unreliable results. The result indicates that the strongest correlation is seen between primary school enrolment (PSE) and domestic credit (credit), followed by the relationship between technological progress (scij) and Internet users (intusph). The overall assessment of the pairwise correlation shows that multicollinearity (a perfect relationship) is absent in the model which guarantees the reliability of the model. The chosen econometric technique of analysis is the fixed effects (FEM) and random effects (REM) panel data analysis (which caters for the possible individual fixed effects that could occur from the nature of the data panel) for which the Hausman test (probability value of the Chi-square test) is usually performed after the FEM and REM to determine the most appropriate between the two. The estimated coefficients could be used to determine the degree of relationship and impact existing between the variables of interest. The rule of thumb for deciding the most appropriate model (between the REM and FEM) states that given that the FEM was run first before the REM if the Chi-square probability value of the Hausman test is less than 0.05, the FEM is most appropriate and if the Chi-square probability value is greater than 0.05, the REM is the most appropriate for interpretation and policy recommendation. Furthermore, the use of the FEM signifies the presence of individual-specific fixed effects which could affect the result if not taken care of during the estimation process, while the choice of the REM indicates the absence of the individual-specific effects. Table 4 shows the Hausman test result. While juxtaposing the relationship between the number of Internet users, innovation and human development, the results in terms of individual statistical significance show that in ECOWAS, Internet usage, innovation and a combination of the former and the latter (technical knowledge) statistically impact human development (columns 1–3 at 5% level of significance). Furthermore, the value of the statistically significant coefficient result is positive. This shows that the Internet usage, innovation and technical knowledge in ECOWAS have a positive impact on human development. This implies that an increase in Internet usage and innovation individually (columns 1 and 3) and wholly (column 2), significantly, positively affects human development in ECOWAS which further implies that the a priori expectation is attained in ECOWAS. This indicates that technology improvement as a result of knowledge is essential to human development. The positive significant result of this study is consistent with Ejemeyovwi and Osabuohien (2018). The results are displayed in Table 5. Panel estimation results (dependent variable: LHDI). ICT usage is an effective medium for development as applied by many developed and developing countries (Zimbabwe—e-Hurudza phones; India—Reuters Market Light; Zambia—prepaid voucher, MRIAgro; Kenya—M-Pesa, iCow). Human development perspective is not left out with distance learning programs, digitisation of health care products (e-health products) and means of communication. The interaction between innovation (research and development) and Internet technology utilisation refers to: (1) the constant discovery and production of new products1 that could solve the problems/issues (such as distance between two parties) associated with human development. (2) The use of Internet facilities to enable research through literature (empirical, theoretical, methodological and practical) search and dissemination of these discoveries as journal articles online to the world. ICT adoption could lead to efficiency through instant information dissemination which reduces the information variance between the different users at the various ends (supply and demand) of each value chain that exists across all sectors and markets. Some of the sectors through which this Internet utilisation could be helpful is the: (1) financial market—to access funds and know current financial policies in order to make available funds to drive human development; (2) labour market—to create a platform for the supply and demand in the labour market which enables firms and the government to plan effectively to improve the human development levels; foreign exchange market—to be updated with the exchange rate information and other international information in real time (spontaneously) in an economy. The impact of the positive interaction between Internet usage and innovation on human development as found by this study has socio-economic implications for the firms, household, government. The firms experience increase in productivity (more output over the same timeframe), which contributes to the profit-maximising objective of a firm. The household also constitutes the firms, but however, work–life balance (through the usage of the social arm of the Internet usage and innovation such as the social media for leisure) would contribute to the maximisation of satisfaction (utility). The government’s objective is to maximise the welfare of the governed people, and hence, Internet usage, innovation as well as improved human development contribute to the achievement of that goal through spontaneous information dissemination coupled with the households and the firms’ achievement of their own objectives as the welfare maximisation of the government. It is important to mention that there are crucial concerns which can be the result of the presence of heterogeneity among the different ECOWAS member countries; with respect to the variables used, it is necessary to disaggregate and hence, show the differential impact of Internet usage on each of the member countries. To achieve this objective, the two-way error component within modelling approach is utilised. This unmasks the expected heterogeneity. The two-way error component within modelling is a version of the least square dummy variable (LSDV) that assumes that the explanatory variables are independent of the error term and have a constant slope coefficient, but the intercept varies over countries and time as it has been noted by Vijayamohanan (2016). The results are shown in Table 6. Unravelling the within-estimation results of the impact of Internet usage on human development, 11 countries had statistically significant values out of the 15 ECOWAS countries. While Cape Verde, Ghana and Nigeria reported positive coefficients, the other countries reported negative individual regression coefficients. More interesting is that the positive coefficients of the three countries outweighed the negative coefficients so significantly that the general panel estimation coefficient for Internet usage, as indicated in Table 6, had positive values of the coefficient. The significant influence of Internet usage on human development implies that Internet usage has a significant role to play to influence the outcome of human development both at the individual (country) level and in the ECOWAS sub-region. In terms of technical knowledge (Internet usage and innovation interaction) and human development nexus, it is observed that for most of the countries, a statistically significant relationship is observed. Also observed are Cape Verde, Ghana, Guinea-Bissau and Sierra Leone which individually report positive impact of technical knowledge on human development among the ECOWAS countries, while the other countries have a negative impact. This implies that the magnitude of impact of the four variables are strong relative to the other countries within the ECOWAS countries to positively affect human development in ECOWAS sub-region as seen in Table 5. With regard to the individual country coefficients of innovation’s impact on human development four countries (Cote d’Ivoire, Liberia, Mauritania and Togo) had statistically insignificant relationships, while for the other countries, a significant relationship was recorded (see Table 6). Cape Verde reported a positive coefficient, which can be attributed to the level of research and development ongoing in that economy as seen in the descriptive statistics explanation (see Table 2). In terms of the elasticity of the coefficients, all of the individual coefficients for Internet usage, innovation and technical knowledge in all the countries are inelastic given that they are below 1.0 (< 1.0). This implies that the degree of impact of a change in any of the independent variables will lead to a less than proportionate change in human development. This further implies that for the human development values to be significantly increased, there would need to be a strong or high level of change in Internet usage, technical knowledge and innovation within ECOWAS. The significant impact of Internet usage, innovation and technical knowledge (interaction of Internet usage and innovation) on human development implies that Internet usage has a significant role to play to influence the outcome of human development at both the individual country level and the ECOWAS community as a whole. Also, this result proves that some countries are more involved in developing Internet usage alone, innovation alone, or technical knowledge alone and some countries, none of the three cases above. The result of this study shows that Internet penetration and innovation (individually and wholly) in West Africa currently play a significant role in achieving human development, which follows the a priori expectation and is in line with Ejemeyovwi et al. (2018). The robust fixed and random effects result has certified reliable for inference and policy analysis. In the light of this finding, some ways that Internet penetration and innovation could contribute to human development are through increased education for all across physical or geographical barriers; through increased research and development for productivity (which is captured by this study as technical knowledge); and through improved value chain interaction across various sectors of the economy. On the basis of the findings above, it is recommended that West African economies should (1) encourage the utilisation of Internet facilities, (2) encourage innovation (research and development), (3) encourage the interaction between Internet adoption and innovation since this study has established empirically that the increases in the utilisation and their interactions significantly improve human development within the economic sub-regional block. As a suggestion for future studies, it will be needful to explore issues such as the examination of the determinants of Internet penetration and its linkage to inclusive growth in individual countries in ECOWAS with a view to capturing the issues such as costs that affect Internet connectivity and making the study robust by using qualitative research methods coupled with primary quantitative method of research to complement this robust study. Also, a comparative study of the impact of Internet adoption on inclusive growth could be examined between the different continents of the world or between the different income groups of the world to know and assess the level of impact between each group and resolve into a conclusion that will add to the ICT adoption and knowledge economy debate. The products include mobile application, web application softwares and other wares. The first author handled the data analysis and discussion of results. The second author supervised the writing of the manuscript and proofread the manuscript to ensure the quality of the research as well as contributed to the writing of the abstract and conclusion. The third author contributed to Introduction and Literature Review sections. The fourth author supervised the writing of the manuscript, proofread to ensure quality of the research as well as contributed to the revision of the study for publication. All authors read and approved the final manuscript. This paper draws from the first author’s postgraduate research project under the supervision of the second author and the fourth author. Thus, suggestions and comments from research committee and faculty in the department are acknowledged. The data set used for this study was sourced from the World Development Indicators of World Bank (https://data.worldbank.org/). The authors appreciate the support from Covenant University Centre for Research, Innovation and Development (CUCRID) during the preparation of this manuscript.